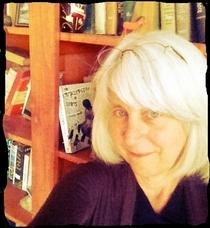 See Barbara Fister's author page. About my libraryCataloging was not my favorite subject in library school, but since joining a wonderful online reading group, 4MA, I've been jotting down my thoughts about books. That was so much fun I'm now reviewing books for Reviewing the Evidence. I'm looking forward to sharing my favorites with others and picking up some new ideas about what to read next while I'm at it. By the way - not that anyone will notice or care - I've stopped giving books stars. It always made me slightly uncomfortable. If it's a book that totally knocked my socks off, a five star rating is easy. But what if it was good, but not great? What if it's a book that has elements that were great and some that happen to be pet peeves of mine? What if I was just having a bad week and my inner red pencil was over agitated? And what if it's a book that just isn't entirely my kind of book - but would be totally another person's cup of tea? So, no more stars from me. But if it's here, I liked it. If I don't enjoy a book, I put it down unfinished, and those don't get listed in my catalog. Though I may have a rant or two here and there for a book that I read right through that infuriated me for some reason.